It’s almost December and the first Sunday of Advent is fast approaching. Christmas parties and events have already begun and with each week there is increased busyness related to the holidays. As a culture our time is not filled with the story of Jesus’ arrival into the world, instead, we are often consumed with celebration of the secular holiday season and commercialism. I’m not about to pretend that I somehow become extra holy during Advent and Christmas, but I can certainly feel the tension between focusing on Christ verses focusing on the secular celebrations and habits of the season. I don’t have a problem with making “Jesus the reason for the Season”. I feel an increased need to draw closer to Christ during these busy times because I am tempted by corporations that try to convince us that Christmas doesn’t exist without all the small appliances and toys they are offering for sale. 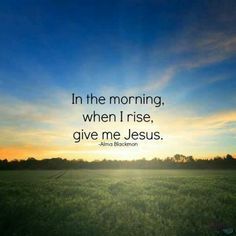 I need to call on Jesus so I don’t allow myself to become a bitter and angry person when family issues surface due to holiday pressures. My prayers increase because I see the desperate needs of people who live on the streets and those who are living in poverty and I remember what Jesus said to us about our relationship with those who are poor. I remember my identity in Christ when the thief of comparison pays a visit, reminding myself and others of the material things we don’t have. I invite Jesus into the holiday season by engaging in Advent rituals. Without these daily reminders it becomes easy to spend more time focusing on Christmas instead of Christ. There’s nothing wrong with having fun during the holidays, personally, I think it’s necessary for our well being to do so. The winter season is long, dark, cold, and sometimes depressing. Gathering together and having fun is the best way to beat the winter blues. So, what are some ways you can invite Jesus into your holiday? Advent Wreath: With an advent wreath in your home, you have a visual reminder of the seasonal themes Love, Joy, Peace, and Love. You can light the candles every day or once a week. You can even take things further by doing a reading or prayer each time you light the candles. Advent Daily Devotional: These devotionals focus specifically on the story of Christ’s incarnation, the prophecies of the Hebrew scriptures with foretold the story of Christ, and provide reflections on how to live as Christians waiting for the advent (coming) of Christ. Decorate your home with religious symbols: Christmas is filled with beautiful trees and the equally appealing decorations they hold. Adding religious decorations such as nativity scenes, angels, and art depicting the Christmas story serve as reminders that Jesus is a part of our holidays. Listen to Christian Christmas Music: There are many winter songs that sing of warming up by the fire, Santa Claus and loved ones, but throwing in some songs that reflect the hope and joy of the season help to create a spiritual atmosphere. Christian Christmas music is found across many genres and are produced by both Christian and non-Christian artists. Give-Give-Give: Christmas brings out the charity in all of us. A great way to celebrate the holidays is sharing with others whether it be by giving financially to a charity of your choice or by donating goods and your time to organizations. I can’t believe this is the 4th week of Advent. Time has gone by quickly. I apologize for not keeping up with the Advent series I had mentioned 4 weeks ago. I got sidelined by a head cold that didn’t want to get lost. As a result my to-do list got longer, my schedule got busier, and I grew tired. The blog took a back seat to more pressing and necessary obligations. Hopefully you’ve had a wonderful Advent season. Re-learning the story of Christ’s purpose for coming to us here on earth never grows old. Each year I learn something new and I see passages that I’ve read many times in a new light. Love is a difficult verb and noun to understand. In the English language the word love is used to describe our feelings about things from clothing, food, and movies, to family, crushes, and spouses. The never ceasing love that God continuously gives us is one that I can’t claim to understand fully. I get that God loves us, His creation, His children, but I have never understood it at a deeper level. I have experienced God’s love, but can’t define it. God’s love for us is one of the mysteries of our faith, perhaps it is the biggest mystery. John 3:16 tells us that God gave us His son because He loves us and this love brought Jesus to us, not to condemn us, but to save us. God’s love for us is a love that saves us; how powerful is that! I will confess, loving others as Christ loves us is my biggest challenge in life. Jesus tells us that loving God means loving ourselves and loving others (Luke 10:26-27). Loving God is directly connected to loving our self and others, they cannot be separated. If we don’t love God, we will not be able to love anyone else. The four themes of Advent are all interconnected: Hope, Peace, Joy, and Love. 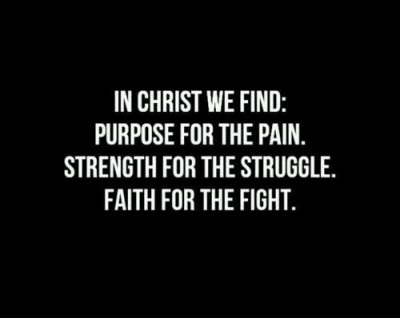 These four nouns and verbs are directly tied to our faith in God. Our spiritual disciplines help us to develop these character traits that God places in our hearts through our faith in Him. If you are like me and you continue to fail at loving every single person you know and encounter, don’t give up. Remember, God said Christ was sent to save us, not to condemn us. As believers we don’t share, spread joy, and love others as a holiday, for us it is a year round faith-based, character building lifestyle. We stumble, God corrects us. We fail, God forgives us. We forget, God reminds us. This week, I encourage you to take some time to think about the four themes of Advent and your spiritual disciplines. How have you grown in each of these areas during 2015? Are You Really Keeping Christ in Christmas? Every year we see the Facebook posts, news articles, and hear sermons about the need to ‘Keep Christ in Christmas’; this has always bothered me. I’ve never been concerned about keeping Christ in Christmas because I personally don’t believe Christ cares to have his name associated with a consumer driven holiday. I truly believe that Christ doesn’t want people exchanging gifts in his name that were made under unsafe conditions in sweat shops across Asia. Do you honestly believe God wants people fighting each other on Black Friday so they can get the best deals on the gifts they’ll be giving for Christmas? Would Jesus be excited to see underpaid and overworked cashiers and sales associates putting up with miserable shoppers for a month, all in the name of celebrating his birthday? I often wonder why Christians go through so much effort to keep Christ’s name in something that he never celebrated; a time of remembrance that he never asked us to keep. Before departing, Jesus gave a set of instructions to his followers and not a single one of them mentioned celebrating his birth. Instead, what Jesus wanted us to do was live out the loving commandments of God. Jesus asked us to remember all that he did during his short time on earth so that we could go forward and do the same. Nowhere in scripture does Jesus engage in anything that remotely resembles our North American Christmas holiday. Be nice to the underpaid and unappreciated cashiers and sales staff. These workers are not here to be yelled at, complained about, or mistreated in any way. Remembering the fruits of the Spirit during the holiday shopping season is important, this is how we live in the Spirit of Christ. Spend only what you can afford. If you don’t have the money to pay for items before the interest rate is added to your credit card bill, then you can’t afford the gift. Put it back. Don’t purchase it. Consumer debt is not how Christ wants us to live. If we can’t afford something, then why are we purchasing it? Wanting unnecessary material goods, buying them, ad then being in credit card debt for these items we can’t afford is called gluttony and pride. Money mismanagement is not keeping with God’s commandments and the values Jesus taught us. Practice advent. It never ceases to surprise me how many Christians don’t celebrate advent. As a religious culture we are beyond excited to spend much energy on a one day celebration, but somehow we can’t find the time to spend several weeks focusing on why Christ came into this world and what it all means for us as followers today. Taking time each day during Advent to focus on the great gift of Jesus means never having to remind yourself to keep Christ in Christmas, because Advent is all about Jesus and our relationship with him. Remember those who are having a Blue Christmas. The holidays can be emotionally painful for those who have experienced loss during the year, people who are having painful memories, and those who have no family to celebrate with. You don’t have to be extravagant in reaching out to them, it can be as simple as giving them a box of chocolates, an encouraging Christmas card or something that you notice they might be in need of. Knowing that you are remembered, loved, and cherished during the holidays means so much to those having a Blue Christmas. Remember those around the world who live in areas where they cannot openly celebrate the birth of Jesus. For Christians whose lives are in danger due to their religious beliefs, they don’t have the option of trying to figure out how to keep Christ in consumer Christmas; their lives are in immediate danger. Take time to remember those who do not know the love of Christ or why God is so amazing. 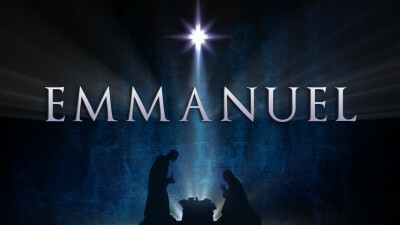 Review the story of Jesus’ birth and the danger that his family was in. Thousands of years later there are still leaders and rulers who fear the love and peace that Christ came to live and proclaim. Hopefully all of this doesn’t come across as me putting the bitter in Christmas because the truth is, I love the Christmas season for reasons that aren’t really Christ focused. The holidays make me happy because I love the festivities, the beautiful lights that brighten my dark and cold city, and all the other fun stuff that make great memories. 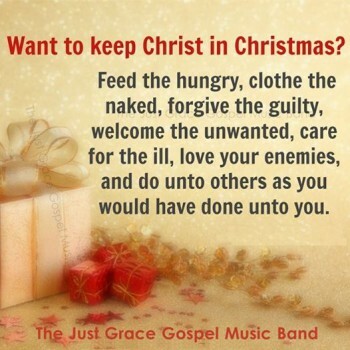 My only concern is for Christians who find it necessary to “Keep Christ in Christmas”. There is no battle. If you are a believer, Christ will be part of Christmas and you won’t get lost in the secular. Christ is meant to be in your life and in your home year round. If you make Christ a regular part of your life, you won’t have to fight to keep him there every December. I love the classic Marvin Gaye & Tammi Terrell song, “You’re All I Need To Get By”, it’s a song that speaks of a couples dedication and need for each other. Ashford and Simpson were talented writers, but as beautiful as this song is, I would hate for someone to think that I was the only thing they needed to get by in life; frankly that’s too much pressure. I don’t need someone depending on me emotionally for survival, no thanks! Jesus is an important part of our spiritual lives as believers, but we need more than him in order to meet our most basic essentials for survival. Jesus never said that he was taking the place of what human beings need in order to survive on earth. It’s easy to misread the gospels and incorrectly assume that Jesus wants us to believe that we don’t need the essentials of life when we have him in our lives, but he never alluded to that. 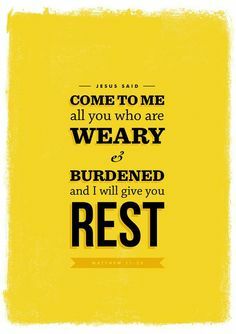 What Jesus did tell us, was that we are not to worry about obtaining our daily needs. Worry never leads to anything good. Worry leads to heart attacks, increased risks of stroke, stomach ulcers, muscle tensions leading to headaches and, various aches and pains. Matthew 6: 27-34 is where Jesus tells us not worry because God will provide for us and a reminder that worry doesn’t add any years to our lives. While worry doesn’t solve our problems, we can’t ignore them by assuming that God will provide our basic needs. The fact is, millions of people have died from starvation, the elements, and from not being able to breathe. Doing what needs to be done on a daily basis in order to meet our basic needs for living is not a sign of worry or a lack of faith in God. We are fortunate to live in North America where no child will have to die of starvation or malnourishment. Even the poorest person in the city can find an abandoned building or create makeshift shelter somewhere in the city. For those on the other side of the world it is not so easy for them to be told that they don’t need anything except Jesus to survive, because the falsehood of such a statement is real to them. What I take from Jesus’ statement about worrying is that it is useless. He knows that worrying isn’t going to make a difference and he wants his followers to be aware of this. He wants his followers to turn from the wastefulness of worrying and instead, take that energy and focus on giving God our concerns and fears. By handing over our worries to God we able to focus more on finding a solution. Worrying doesn’t allow us to be calm enough to think clearly. The sad truth is that despite praying to God, despite trusting him to take care of our human needs, there is no guarantee that these essentials will be met and the worst that could happen, that being death, might actually happen. Our worship of God is filled with paradoxes, things that might seem contradictory, and lots of asking ‘why God why’; but with each new day we have to continue to trust and have faith in God, allow the confusion, and accept the unknown. I don’t know what the answer is to ending war, world hunger, and injustice, and why God allows these to continue to happen, but I do know this; we need more than Jesus. Do you believe that Jesus is all that we need to survive? 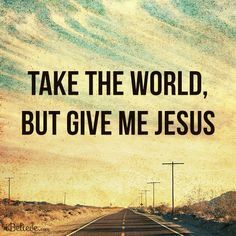 If not, what would be on your list of things that we need other than Jesus for survival? How do you answer those who ask why God “allows” people to die at the hands of war, die of starvation, or other atrocities? Read or watch the news this week, make note of when famine, starvation, lack of clean water, and war is mentioned. Take time to pray for their essential needs to be met. During your time of prayer remember to bless the LORD for all the essentials for living that you have.